I’ll be joining Brian Yaeger of Beer Odyssey, and Bryan Kolesar of Brewlounge for a Beer Run February 13th at 11 am. The course is about three miles and starts and finishes at Magnolia Brewery. We’ll run around a bit in The Haight and the go through Golden Gate Park before returning to Magnolia. 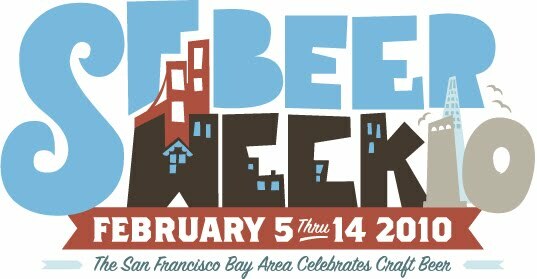 Afterward, there will be good drinks for “proper rehydration” and planning for remaining SF Beer Week festivities for the rest of the weekend. Hope you can make it, and if you can, please RSVP to the “official” website, or just post a comment to this post. We take off at 11 am, rain or shine, except in the case of extreme weather. Wish I could go- sounds like a lot of fun!! (neither am I),so it would probably take us a very, very long time to finish a 3 mile course.But maybe we'll be at the Magnolia for the exciting start/and or finish and to wish all the beer runners well! Thanks for writing Susan, and hope to see you there tomorrow!